1Password works great with more than one account. Learn how to get the most out of your multiple accounts. 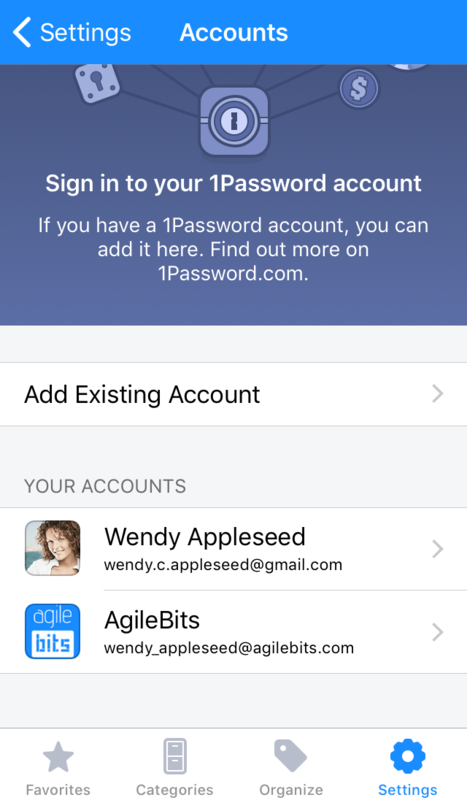 You might have multiple accounts because you’re already using 1Password at home and were invited to a team at work. Or you might be a member of multiple teams. Either way, 1Password works just as well with one account as it does with many. It’s easy to switch between them to see exactly what you need when you need it. When you’re invited to join a team, you’ll be asked to create a Master Password. Because you already use 1Password, enter the Master Password you already use. Then you’ll be able to unlock 1Password with your one Master Password to see the information in all your accounts. If you signed up with a different password, you can change it. It’s easy to choose from multiple accounts when you sign in to your 1Password account on the web, but it’s a better experience to add them to the apps where you can see all your information at once. See all your items from your work and personal accounts at the same time. Switch to a specific account to see only those items. Choose where to save new items. Learn how to add your accounts. You can switch vaults to see only the information that you need. For example, if you’re at work you can select one of your work vaults. You’ll only see items in that vault – both in the 1Password app and in your browser. To see items from multiple accounts at once, use All Vaults. Learn how to use All Vaults. Whenever 1Password asks you to save a password in your browser, you can choose which vault it goes into. And you can always move items later if you change your mind. Learn how to move and copy items. Now that you have multiple accounts, there are a few preferences you might want to adjust to align the way 1Password works with the way you do. To always start in a specific vault when you open 1Password, choose the vault from the “Always open to” pop-up menu. To change the vaults included when you view All Vaults, select or deselect them from the “Show in All Vaults” list. To change where new items are saved, choose a vault from the “Vault for Saving” pop-up menu. 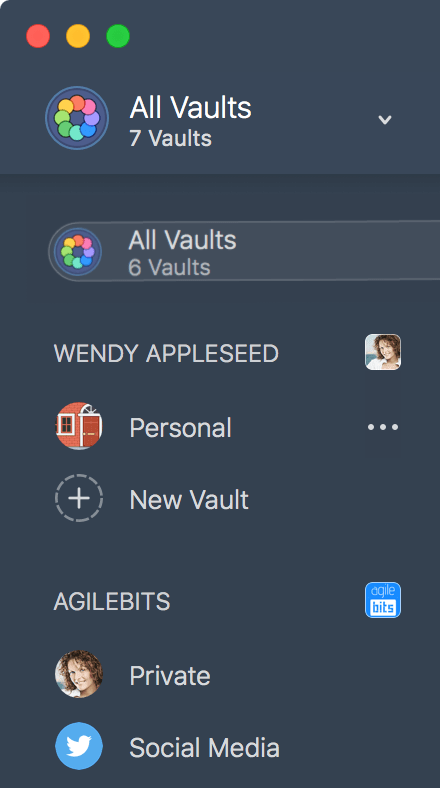 To always start in a specific vault when you open 1Password, choose a vault to “Always open to”. To change the vaults included when you view All Vaults, tap All Vaults, and select or deselect them. To change where new items are saved, tap All Vaults > Vault for Saving and choose a vault. To change the vaults included when you view All Vaults, select or deselect them. 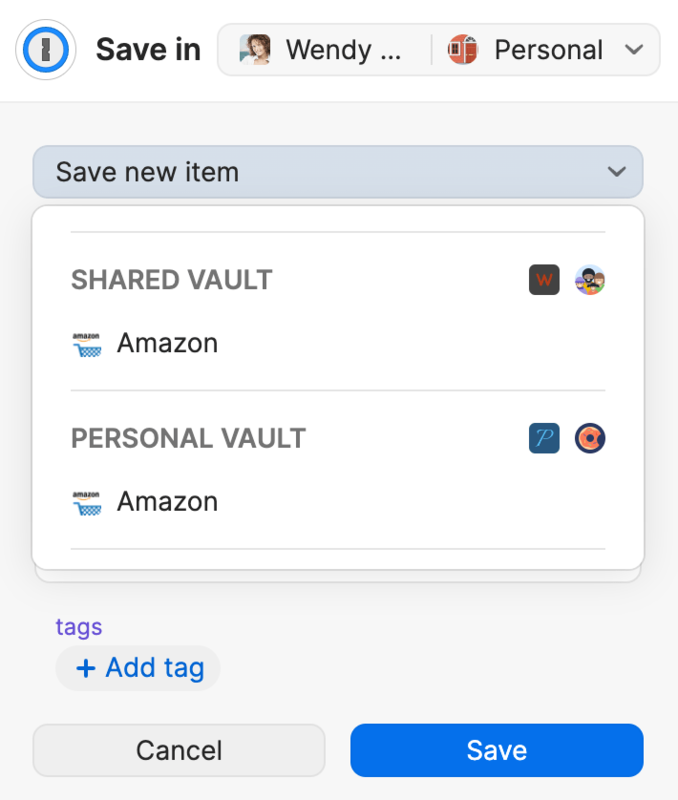 To change where new items are saved, tap “Vault for saving” and choose a vault.